“The size of your bank account should never dictate how many years your children spend in school, or how long you live”. 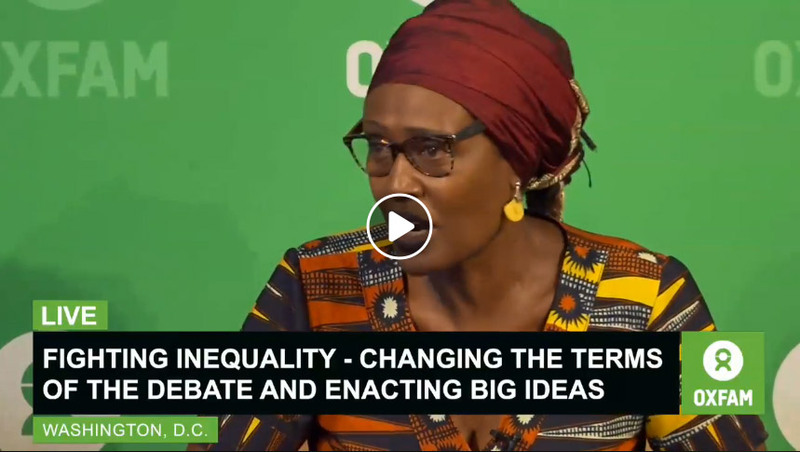 Oxfam is campaigning to end global inequality. We've worked with partners to help shake up the debate. To fight for policy reforms on wages, tax, gender equality and public services.The debate has slowly shifted from whether inequality poses a threat to our societies, the economy and tackling poverty - to how we can address these issues, as well as the need for urgent action. We need our governments to stop under-taxing rich individuals and corporations - and release the billions needed to invest in humanity and fight poverty. The time has come to boldly tax capital and wealth – as the IMF and others are now highlighting – at a far fairer level. We want to stop the poorer getting poorer and eliminate tax avoidance and evasion by corporates and the richest. We need free quality healthcare and education worldwide. Our taxes should provide it. Free healthcare and education are powerful tools to drive equality – between rich and poor, and between men and women - and give people freedom from living in fear. The increasing trend of the privatisation of these services must end: they must be publicly-funded and publicly-delivered, not left to the market to only benefit a privileged few. We need to end the scandal of big business handing out bumper pay packets to their bosses while their workers struggle to survive on less than a living wage. It's time to ensure all workers receive a minimum 'living wage' so they can live a life of dignity. And to end the gender pay pay gap. As of 2018, 26 people own the same as the poorest 3.8 billion people of humanity. That’s down from 44 people last year. 16.4 billion hours of care work will be done today, by women, and they won’t be paid a cent for it. This in a world in which men earn 23% more than women and own 50% more of global wealth. 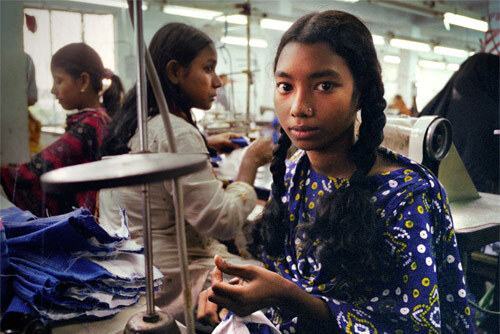 Seventy-five percent of women in Asia and Africa are in informal and insecure jobs. Rich men are the ones benefitting most from extreme economic inequality, while women are over-represented in the lowest paid and most precarious jobs. The super-rich are hiding $7.6 trillion from the tax authorities. Corporates also hide large amounts offshore. Together this (tax dodging by wealthy individuals and corporations) deprives developing countries of $170bn a year. The unpaid care work done by women is estimated to be $10 trillion - 43 times the annual turnover of Apple, the world's biggest company. You can be part of our movement – to tackle the issues that keep people poor. Head on. The more of us who speak out, the better our chance of getting those in power to change the system – ending poverty. Join us in signing petitions, lobbying MPs and making noise in your local and social media communities about our campaigns. Join the fight against poverty. An valid email address is required to receive contact via email. We will keep your personal information secure and use it to contact you for up to two years from the day you give consent. If you would like to change how we contact you, visit www.oxfam.org.uk/preferences, phone 0300 200 1300 or write to Supporter Relations, Oxfam House, John Smith Drive, Oxford, OX4 2JY. To find out more, visit our Privacy and Security page. 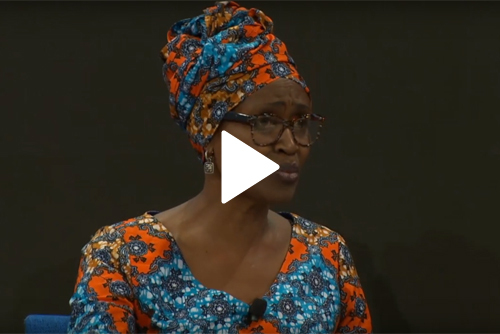 Oxfam's Winnie Byanyima on the need to transform our economies to reduce the gap between rich and poor. Public Good or Private Wealth? Universal health, education and other public services reduce the gap between rich and poor, and between women and men. Fairer taxation of the wealthiest can help pay for them. © . Oxfam is a registered charity in England and Wales (no 202918) and Scotland (SC039042). Oxfam GB is a member of the international confederation Oxfam.